Cassim Farms is a family operated business owned and operated by Jeff and Anne Cassim. Established in 1980, Cassim Farms began operations as a strawberry farm offering top quality u-pick strawberries to the public. 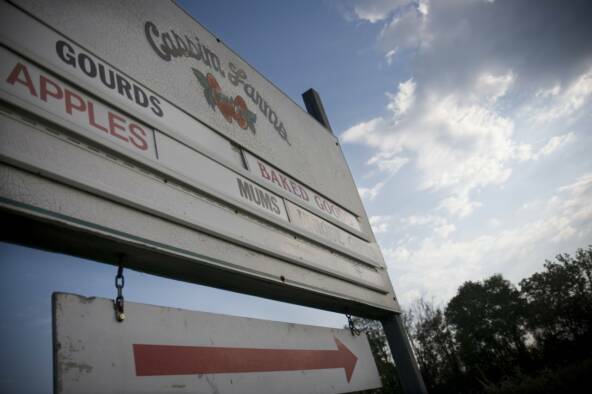 Early success allowed Cassim Farms to expand into a full produce farm, growing additional seasonal fruits and vegetables. In 1987, Cassim Farms opened a gift store featuring many locally made handcrafts, gifts, and fresh baked goods. In recent years, Cassim Farms has opened two large greenhouses on property to grow and maintain a wide variety of fresh plants and flowers for sale. Cassim Farms has become one of the leading produce and u-pick farms in the Finger Lakes and is still the area’s favorite source for fresh, and always juicy, strawberries. Cassim Farms proudly supports local communities, organizations, and businesses. The staff donates their time and resources to help local organizations with annual fundraisers, community events, and seasonal projects. Cassim Farms is an active member of the Celebrate Commemmorate Memorial Day Committee, Waterloo Rotary Club, Seneca County 4H, and the NYS Berry Growers Association. You will find Cassim Farms with booth displays at local farmer's markets, craft fairs, and in local stores. Cassim Farms urges you to support your local farmers and businesses!